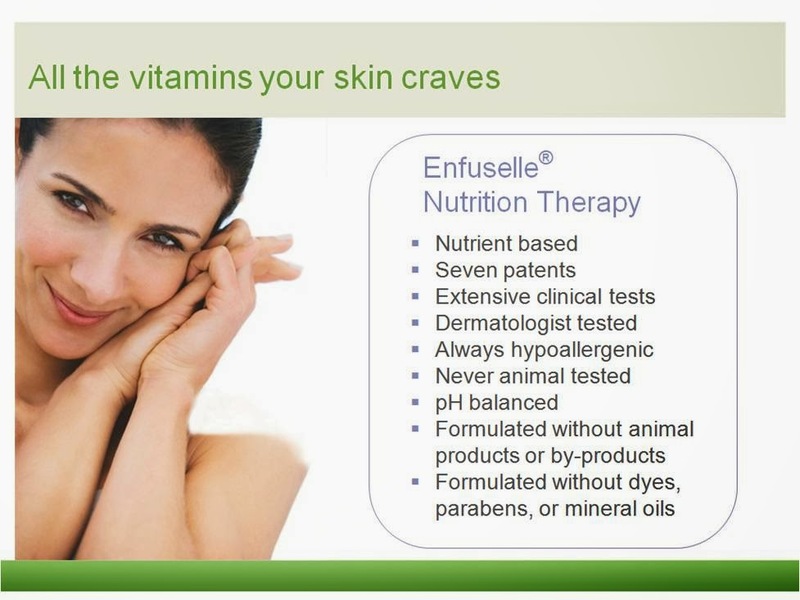 12 Days Of Christmas – Day 2 Enfuselle Skin Care!! I have acne. I am 37 years old and I have struggled with acne all of my life!!! These are some of the products that have really helped my skin to repair itself from years of acne scars, and helped me to get a more youthful glow that I love! 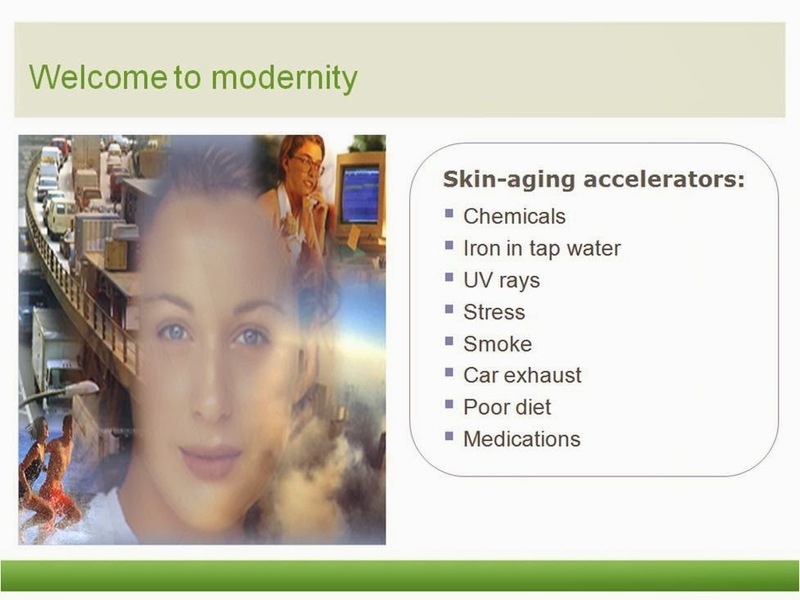 It’s always amazing to me to learn the true ages of my Shaklee friends at conferences. They never look their age! Always so much younger! 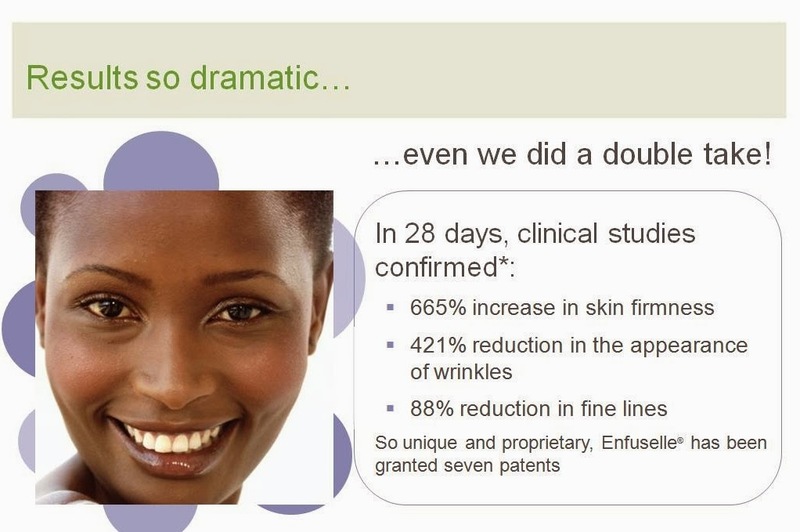 Enfuselle has real science and patents backing how it will reduce fine lines, wrinkles, remove age spots…it has real vitamins for your skin without any harmful chemicals. 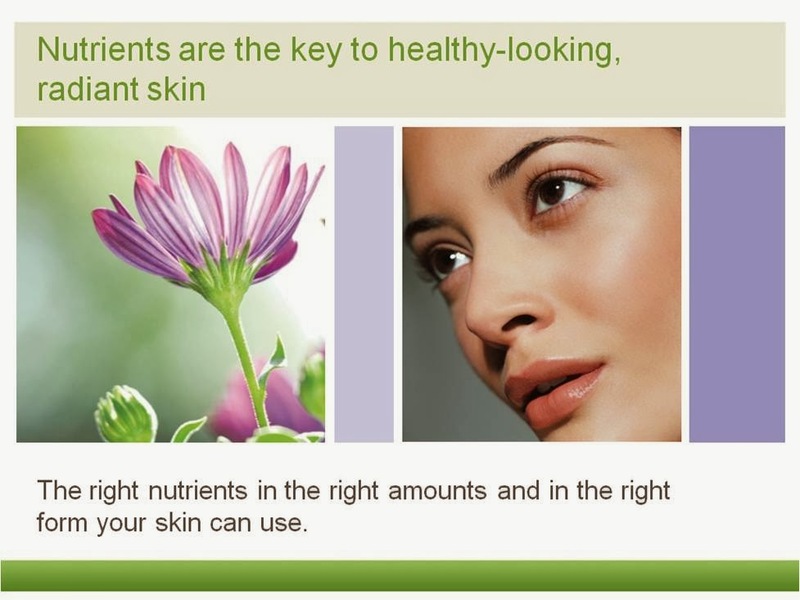 I used to use a very popular and well known skin care and cosmetics line that a family member sold. She would give me the products for free so I used them. 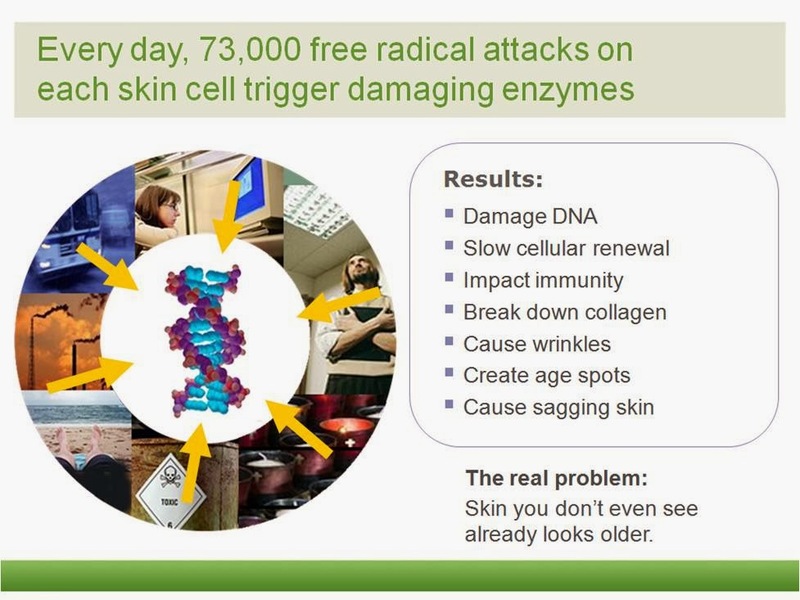 But they were aging my skin! At first I just chalked it up to the fact that I was getting older. But when I switched to Enfuselle and saw how it was reversing the aging process I was so impressed and switched. I have heard other testimonies sharing similar stories. C+E PM Repair cream would have to be my very favorite Enfuselle product because I noticed such a difference in the reduction of pores and scarring. It actually puts straight vitamins on your skin and heals it. It is really an amazing product that I love to share. 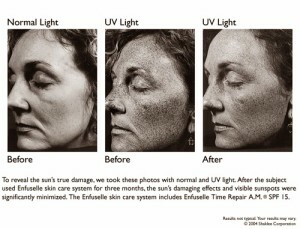 It has actually been known to take off skin tags and actually make the beginning stages of skin cancer disappear!! When you do a basic program with Enfuselle for 3 minutes in the AM and 3 minutes in the PM for 28 days, you can reverse the look of your skin by 10 years!!!! My free gift to you today through Saturday, 12/14/13, when you order these products from me is the Refining Polisher. This offer can be combined with our Day 1 offer on the 12 Days of Christmas Specials of a free membership with Vitalizer purchase! If you would like to take advantage of this great deal, simply contact me and let me know and I will get that set up for you! 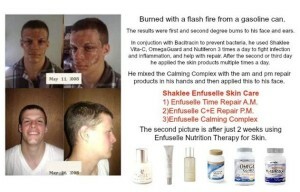 I LOVE this product!!! 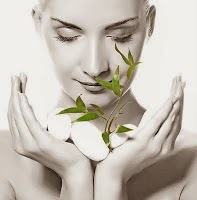 It has exfoliating beads that activate with the steam of the shower to give your skin a youthful glow! It is another of my favorites that has really impacted my skin and I love to share it with you! 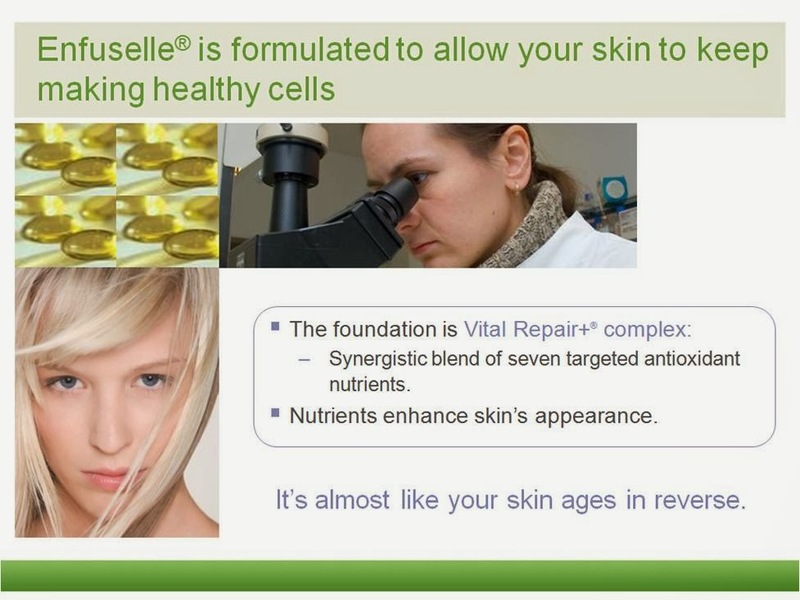 Here is a quick video to learn more about Enfuselle and how it can help you regain the youth of your skin! This offer is for all Waterways existing customers/members/distributors or people new to Shaklee. Please check with your Shaklee distributor about matching any of these offers. And contact me to take advantage of this great deal by this Saturday, Dec 14!! Thanks for reading stopping by. Remember that when you refer people who order through Waterways and mention you referred them, you will get a FREE gift from me! This entry was posted in Shaklee, Skin Care and tagged Enfuselle.